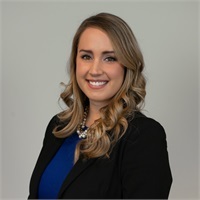 Megan Wray joined The Speakman Financial Group as our Office Manager in January of 2019. She earned her Bachelor's degree in Communications and Marketing at Bowling Green State University in Ohio. She has also obtained her Life, Series 6 and Series 63 (held with LPL) licensing. Megan brings 10 years of experience in financial services, marketing and management. Her main responsibilities as our office manager are assisting with marketing and all areas of small business management. She is passionate about our clients and the administration of assets they have entrusted with our firm. Megan currently resides in Bloomfield with her fiancé, Pecco, and two dogs, Cali and Lexi. In her free time, Megan enjoys traveling, scuba diving, volleyball, and spending time with family and friends.